Set aside the sweetened condensed milk and 200 g margarine. Dissolve the soda in the vinegar and add it as you beat the remaining ingredients together in the mixer. When the boiling is finished, let the tins cool slightly and beat the milk with the margarine in the mixer. 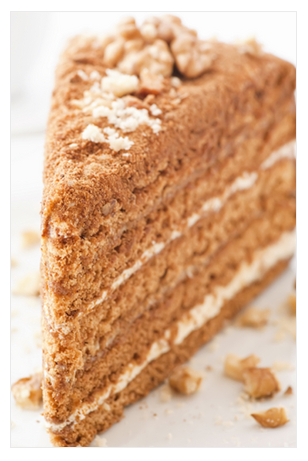 With a length of thread, cut across the cake and spread a layer of cream. Cover the top of the cake with the remaining cream. Sprinkle the cake crumbs over the top and wrap in cellophane so the cake stays fresh.